Kevin Chrisanthopoulos, Esq. is a trial attorney located in Westfield, MA. He is heavily involved in the local community. KC Law concentrates in personal injury, business & civil litigation and medical malpractice cases. After 18 years working as a trial attorney for large firms based in Boston, Worcester and Springfield, Kevin is bringing that large firm litigation experience and his small town values to Westfield and surrounding towns. 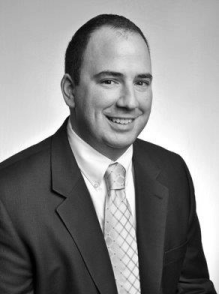 Kevin is an experienced litigator with winning results from small accidents to major medical malpractice matters. Kevin believes that effective client representation starts with a thorough examination of every detail of a case. That process often leads him to discover the vital pieces of information that can make a difference at trial. Kevin knows being prepared to win at trial is the best way to keep clients out of court. He brings to client relationships a rare combination of personality traits: an aggressive litigator who nonetheless has both the ability and the inclination to resolve matters outside of the courtroom.